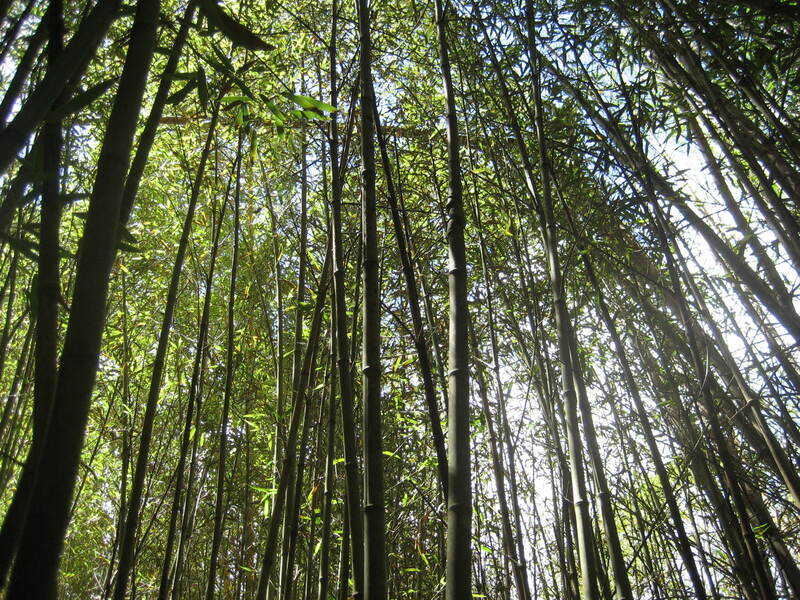 World Bamboo Day is a day of celebration to increase the awareness of bamboo globally. In the week leading up to World Bamboo Day I’ve been harvesting bamboo inside the very large stands of one of the smaller kinds of bamboo here. It’s very pleasant inside the bamboo. The light and breeze is gently filtered through the leaves. It is quiet and peaceful. This entry was posted in All, Bamboo around the world, Bamboo in the garden and tagged bamboo, bandicoots, harvesting bamboo, North Queensland, ticks, World Bamboo Day on 17/09/2013 by Deb.